Namibia’s journey to independence began a long time ago and is paved with painful events. Many of them are commemorated on Namibia’s calendar. The Cassinga massacre in 1978, when six hundred people were killed, will be commemorated on 4 May. The commemoration of the 1959 massacre at the Old Location will take place on 10 December, now Human Rights Day. One, however, which is not well known, is the massacre that took place at Hornkranz in the Khomas Hochland mountains on 12 April 1893. 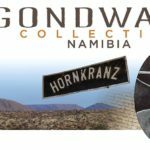 A 125 years ago today, German colonial forces attacked Hendrik Witbooi at his village at Hornkranz, killing eighty people, many of them women and children. From the 1800s, many Nama and Herero groups used the Khomas Hochland valleys, where water was readily available, as travel routes. An important spring in the Goab River is Hornkranz, 120 km southwest of Windhoek. It was in the open plains on the eastern side of the spring where legendary Nama chief, Hendrik Witbooi, settled with about three hundred people in the late 1880s. Traders who visited Hornkranz spoke of hundreds of huts surrounded by a one-metre high wall built from loose stones. A church had also been erected where church services were regularly held. When, in 1884, Germany declared the territory from the Kunene to the Orange River – and as far east as today’s Buitepos – German South West Africa, protection treaties were sought with the leaders of indigenous groups. Hendrik Witbooi refused to sign such a treaty. 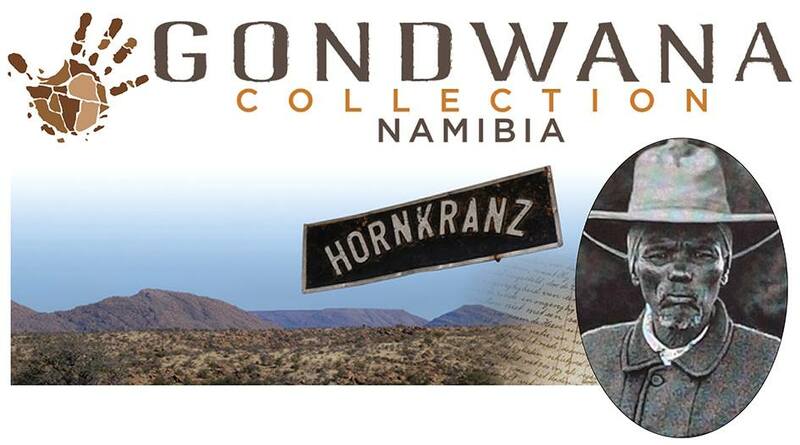 In order to set an example and to break Witbooi’s power, the governor, Major Curt von Francois, launched a surprise attack on Hornkranz, storming the village in the early hours with two hundred German soldiers. Unprepared, the men fought back as best they could. A German soldier’s report vividly described the dramatic scenes where women and children caught in the crossfire were screaming, and cattle and sheep lay wounded on the ground. Nearby, in the riverbed the battle continued to rage. The fierce battle lasted for about thirty minutes. German soldiers ransacked the village, taking Witbooi’s personal Bible and his harmonium from the church, as well as his journals. They burnt the huts and the church and took the livestock. Up to a hundred prisoners were taken, among them Witbooi’s wife and daughter. Witbooi and most of his men managed to escape. A few weeks later they launched several attacks against German soldiers, and German traders’ cattle and freight transport. Local groups never again settled permanently at Hornkranz after the attack. The area was declared crown land under German rule and subsequently became a farm, which has had many owners to date. Witbooi’s journals are unique in that few other African leaders kept written records of their experiences, views, meetings and agreements, or had handwritten copies made of their correspondence. The economic and political emergence of Witbooi and his struggle against Germany’s imperial rule in the former colony of German South West Africa can be followed by reading his journals and other writings. As Witbooi lost his right thumb to a bullet during a battle against the Herero, making writing difficult, the entries into the chief’s journal were neatly written in Cape Dutch by his secretaries. The box with Witbooi’s journals from the Battle of Hornkranz was taken to Windhoek and stored until 1925 in the administrative building, the Tintenpalast (Ink Palace). From 1948, they were kept in a vault in the National Archives with other documents of his, which had been traced and collected over the years. The documents may only be viewed with special permission. Witbooi started a new journal after the Battle of Hornkranz, followed by another, with entries until 1901. What is assumed to be his last journal was taken by Germany’s imperial troops during the battle at Rietmond on 5 December 1905. Witbooi was fatally wounded on 29 October 1905 in a battle against the Germans near Vaalgras. He was about 75 years old at the time. The National Archives applied to UNESCO in 2004 to have Witbooi’s three journals inscribed into the ‘Memory of the World’ register. This register was started in 1992 to preserve valuable documents, manuscripts and writings for future generations. UNESCO entered the journals into the register in 2007. The Witbooi family Bible was eventually donated to the privately owned Linden Museum in Stuttgart, Germany. The family has been trying since 2013 to have it returned. The current ongoing negotiations about the Herero-Nama genocide could make this an ideal time for the return of the Bible to the Witbooi family. Hopefully, it will soon make its way back home. – It arrived this week (Ed-Informaté).